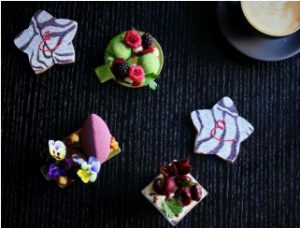 To help spread the festive cheer and to celebrate its first Christmas in a brand-new location, Emporium Hotel South Bank’s Executive Sous Chef (Pastry) Alex Liddle has revealed a dazzling array of elegant new festive treats, available from December 1 in Belle Époque. The joyful creations showcase traditional flavours of Christmas, with hints of egg nog, brandy caramel, gingerbread and mulled wine, and enjoyed in store, takeaway or pre-ordered for holiday entertaining. 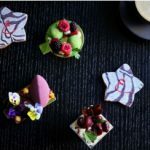 A range of petit cakes can be purchased individually ($7 to $9 each), as a mixed box of three ($25), or box of six ($45). The beautifully decadent treats include:Christmas Bauble with egg nog mousse, brandy caramel, apricot compote, white chocolate and candied ginger dip, white chocolate plaque and bauble décor; Mulled Wine, with mulled wine cremeaux, cassis mousse, mulled wine gummies, spiced hazelnut dacquoise; Christmas Trifle with kirsch soaked lady finger sponge, cherry jelly, maraschino, whipped mascarpone cream, chocolate sauce, fresh cherries, meringue, chocolate shards; Deck the Halls, complete with gingerbread, matcha tea mousse, strawberry jellies, raspberry and blackberries; and Santa Goes Surfing, with papaya and pineapple compote, passionfruit cremeaux, banana mousse, rice bubble crunch. In addition, a series of unique and fun yule logs will provide a wow-factor to any festive gathering, catering for around six people each. Priced between $35-$45 each, they include: Polar Bear Party, a delicious vanilla sponge with white chocolate freckle, strawberry jelly, vanilla mousse, whipped cream; Spice Up Your Life, a moist gingerbread sponge with valrhona milk chocolate mousse, gingerbread Brulee, and orange & apricot marmalade; Cherry Bomb, made with kirsch soaked lady finger sponge, mulled wine gummies, sour cherry bavarois, chocolate ripple, and whipped mascarpone; and Santa Goes Surfing, with papaya and pineapple compote, passionfruit cremeaux, banana mousse, and rice bubble crunch. Traditional favourites have not been forgotten either, with fresh fruit mince tarts, gingerbread cookies, rum balls and hand-made chocolates also available. The festive range is available from Saturday December 1 until Christmas Eve. Located on the ground floor, Belle Époque is Emporium Hotel South Bank’s opulent French-style bistro and is open from 6.30am daily. Design highlights include a commissioned timber shopfront, black and white mosaic floor tiles, Parisian styled furniture, a French antique stained-glass ceiling feature, custom made chandelier and a bespoke, handmade bronze Champagne Bar.